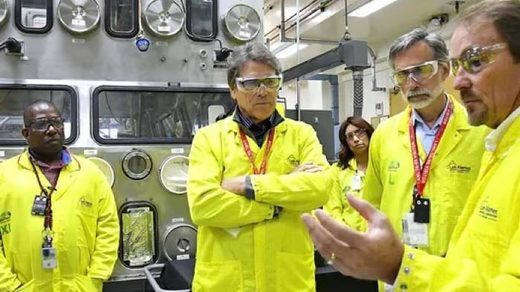 The Department of Energy disclosed Wednesday that it has shipped one-half metric ton of weapons-grade plutonium from South Carolina to the Nevada National Security Site, despite Nevada’s objections. The Justice Department notified a federal judge in Reno the government had already trucked the radioactive material to the site 70 miles north of Las Vegas when Nevada filed a request for an injunction to block the move in November. Department lawyers said in a nine-page filing that the previously classified information about the shipment from South Carolina can be disclosed now because enough time has passed to protect national security. They didn’t specify when the transfer occurred. Nevada Gov. Steve Sisolak said he’s “beyond outraged by this completely unacceptable deception.” The Democrat said he’s working with Nevada’s congressional delegation to fight back against the federal government’s “reckless disregard” for the safety of Nevadans.